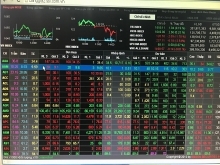 Credit activities have developed strongly in the first months of 2015, a positive sign for the economy's recovery, independent market observers have said. The economy's credit growth as of February 24 rose by 0.96 percent compared with the figure recorded late last year, according a source from the Ministry of Planning and Investment. Meanwhile, another source said the credit grew by 1 percent by February. Analysts said these were surprising changes because the country showed negative credit growth in the first few months of previous years. For instance, credit growth decreased by 1.67 percent in February last year. Senior economic expert Dr. Vo Tri Thanh explained that many enterprises had been expecting economic recovery. A leader of the Vietnam International Bank (VIB) told Dau Tu newspaper that many sources had predicted that economic performance would improve this year, so the bank expected good credit growth. Both lending and deposit rates are at stable and low levels, which has also helped credit growth. 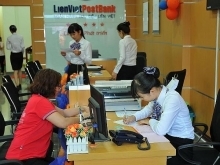 Meanwhile, the Governor of the State Bank of Vietnam has asked the banking sector to seek ways to further cut the interest rate on long and medium-term loans by 1 or 1.5 percent. The central bank's new policy of allowing lenders to use up to 60 percent of short-term deposits for long- and medium-term loans has also contributed to credit growth. Decreased oil prices, low interest rates and economic recovery are other reasons behind the current growth. Although the growth is a good sign, analysts warned lenders of the risks of rapid credit growth. One of the banks' biggest risks is bad debt. Some banks may try to increase credit growth to hide their bad debts, analysts have said. Because of this, analysts said credit should not be extended too quickly, and that lenders should focus their resources on developing their services.